If you’re in need of high-quality plumbers in Oahu, HI, look no further than Emergency Plumbing & Solar. We’re the experienced and licensed plumbers who have proven time and time again that we get things done. That’s right. We complete all repairs on the first outing. Our repairs are designed to withstand the test of time! Your business is our business. If your company relies on its plumbing system, don’t let something as simple as a clog keep you down. Call Emergency Plumbing & Solar for prompt service. Using the latest techniques and training, we’ll keep your pipes running efficiently. If your sink is not draining as it should, you’ve likely got a clog. Clogs occur due to paper products, feminine hygiene products, and grease being forced into the drain. These items do not belong and will cause buildup. Removal is simple. We use state-of-the-art tools to remove a clog permanently. Without a functioning water heater, you’re subject to freezing water temperatures in the bath or sink. No one wants that. Enjoy a warm bath by ensuring your water heater is professionally installed and repaired promptly. Whether it’s the middle of the night or the weekend, know that you may call Emergency Plumbing & Solar for emergency services. 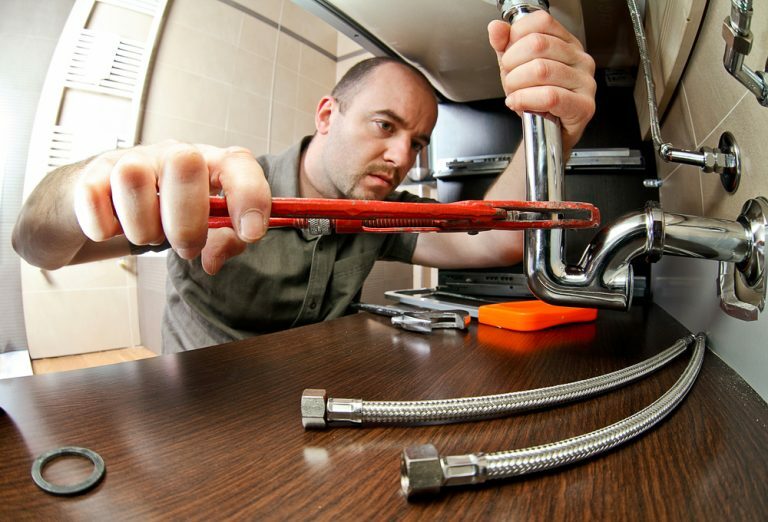 We’re available 24 hours a day, seven days a week to handle emergency plumbing situations. At Emergency Plumbing & Solar, we know that your home is your pride and joy. That’s why we only hire friendly, reliable plumbers with 5+ years of experience. Each of our pro Oahu plumbers can provide you with the highest quality of service, whether you need a drain cleaned, a water heater installed, or a leaky toilet fixed. We’re on time, offer reasonable pricing, and get the job done right the first time. We have proudly served thousands of families across Oahu Island for more than 16 years and we look forward to helping you whenever you need us! Have you experienced slow drains or recurring clogs at your Oahu home or business?If you suspect a problem with your sewer line, it’s time to call the experts at Emergency Plumbing & Solar. By using the latest technology – sewer video cameras – our pros can observe damage, clogs and other sewer line issues quickly, easily, and without digging into your property. If we determine that your line should be cleaned immediately, we can do that as well. Having a video camera inspection of your sewer line is an affordable preventive measure that we recommend to all our customers. It could save you thousands of dollars of damage by nipping a sewer line problem in the bud. Plumbing emergencies – like overflowing drains and burst pipes – always seem to happen on a Sunday morning or in the middle of the night, don’t they? Not to worry. The Oahu plumbing pros at Emergency Plumbing & Solar are ready to tackle any plumbing problem 24/7. From clogged kitchen sinks to backed up sewers, our team has the knowledge and expertise to address your most urgent issues – and we do it all for an affordable price. Oahu, known as “The Gathering Place,” is a popular destination for tourists and growing families. As the third largest island of Hawaii, Oahu is home to two-thirds of the state’s population. As such, there’s plenty to do, including eateries, hotels, and beaches galore! If you’d like to schedule plumbing service on Oahu, HI, contact Emergency Plumbing & Solar by calling 808-691-9309. We’re available now to take your call! We serve entire Oahu Island 96701, 96706, 96707, 96709, 96712, 96717, 96730, 96731, 96734, 96744, 96759, 96762, 96782, 96786, 96789, 96791, 96792, 96795, 96797, 96801 – 96814, 96815, 96816, 96817, 96819, 96820, 96821, 96822, 96823 – 96825, 96826, 96836 – 96841, 96843, 96844, 96846 – 96850, 96853, 96854, 96857, 96858, 96859, 96860, 96861, 96863, 96898. Oahu Overall rating: 5 out of 5 based on 10 reviews.